The Jaguar XJ-S was a luxury grand tourer produced by the British manufacturer from 1975 to 1996. The XJ-S replaced the E-Type (or XK-E) in September 1975, and was based on the XJ6/XJ12 body shell. Although it did not have the same sporting image, the XJ-S was a competent grand tourer, and one of the most aerodynamic cars of its day and was able to accelerate to 60 mph in 7.6 seconds and achieving a top speed of 143 mph. The XJ-S came with the fuel-injected 5.3 liter V12 carried forward from the XK-E, which was upgrade to the "High Efficiency" engine in 1982, which boosted fuel economy by almost 50% while preserving the power output. Some variants were delivered with the 3.6 liter six cylinder XK engine, mated to a manual transmission. Horsepower figures for the V12 varied considerably with market and compression ratio, but were generally in the 270hp range. The Xj-s was unfortunately launched during the 1976 fuel crisis, so experienced poor sales. It was however, featured in two television series at the time which helps promote the model. 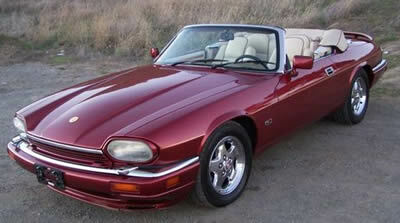 The XJS was redesigned in 1990. Among the changes were the introduction of the 4.0 six cylinder engine, outboard rear brakes, loss of the "flying buttress" rear window surround. The 6.0 liter V12 was offered from 1992-1995. The car was originally offered with the Borg Warner Model 12 automatic transmission, but these were soon replaced with the GM TH400. Later cars were offered with the GM 4L80E electronic four speed automatic. A 1978 XJ-S was the official winner of the Cannonball Run, an unofficial coast-to-coast road race. The finish time was 32 hours and 51 minutes. The two seat XJ-SC full convertible was not introduced to the US until 1988 but was a huge success. By the time the last XJS rolled off the assembly line in 1996, 115,413 had been produced during a 21-year production life. The XJ-S was replaced by the XK8. Check out our complete line of new and used Jaguar XJS parts.